After several wildly successful Kickstarter campaigns, InExile Entertainment is ready to launch its next project. The pitch for Wasteland 3, the sequel to Wasteland 2, is ambitious. While the game itself promises to be a bit shorter at 50 hours, the graphics and the feature set will be significantly beefed up. We spoke with studio head Brian Fargo last week to get more details. 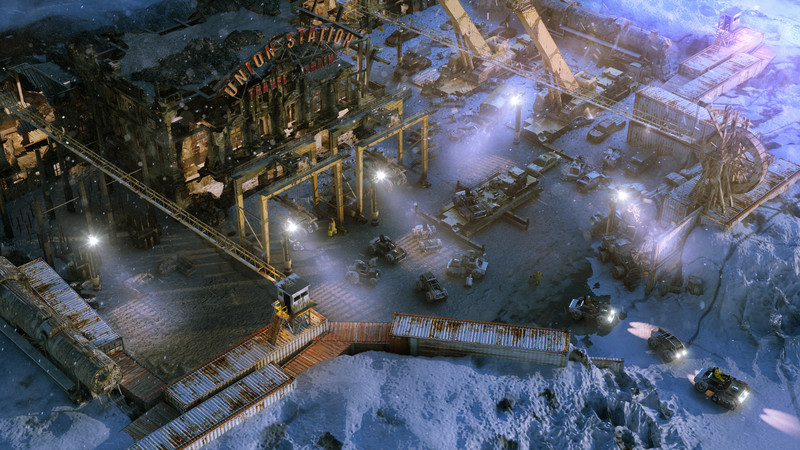 Wasteland 3 will be true to the series' roots, allowing players to create a small party of characters and lead them through an isometric role-playing game in the classic style. It will tell the story of Team November, a group of Rangers sent on a mission to Colorado in the aftermath of a global nuclear apocalypse. In the opening sequence of the game, Fargo says, players will be stranded far from civilization and have to fend for themselves. Their biggest challenge early on will be staying alive in the sub-zero temperatures. But, while many of the game’s systems should feel familiar to fans of the series, Fargo says his team is including bold new features that move the franchise into uncharted territory. First on the list is multiplayer, with both synchronous and asynchronous play. "We’re going to have a f***ing blast with it," Fargo told Polygon. "And it’s not just solving puzzles together. It’s about narrative multiplayer and what can happen when the two of us are in a world, independent of each other, doing other things on the map." Up to two players can each field a unique team of Rangers. When those teams are close together in the game world they’ll be able to take part in the same turn-based skirmishes. But when they’re apart, each player will have their own chance to move the campaign story forward, at times leading to a cascade of unintended consequences for the other player. "Let’s say that you’re sleeping and I go on a mission where there’s a sickness among some cattle," Fargo said. "I decide the resolve it by killing them all. You wake up and you’re notified that mission is complete. "But when you get back to the game there’s a radio call. The town? They’re kind of pissed about that. They want money for those cattle. You can convince your friend to pay up, or you could pay it yourself. You could even refuse to pay entirely and live with the consequences." In another example, Fargo said he could envision a situation where one player might convince a village on the map that another player is the messiah. Later, when the second player arrives, villagers might not let him leave for fear their community will be forsaken. "I love the idea of opening new content that you would not have seen otherwise by clever use of multiplayer," Fargo said. "It’s gameplay that’s not just a simple lock and key, with different ways of solving the same puzzle. That’s less interesting to me now." Players will be able to play with a friend or with a random match from the community. Most importantly, Fargo said, they'll be able to break the multiplayer connection at any time. It's essentially an eject button that diverts your game's timeline from the timeline of whomever you're connected to. InExile has also teamed up with Brotherhood Games, which is comprised of brothers Christopher and Nic Bischoff. While they’re also working on the Stasis and Cayne isometric adventure games, fans might recognize their work from a few clever experiments that showed Fallout 4 and BioShock Infinite from an isometric perspective. 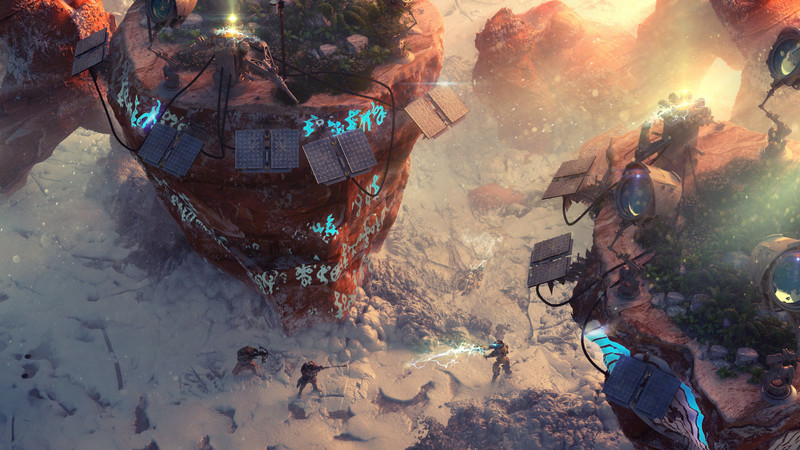 With their help, InExile intends to bring a new level of graphical polish to the wasteland. "It looks great. 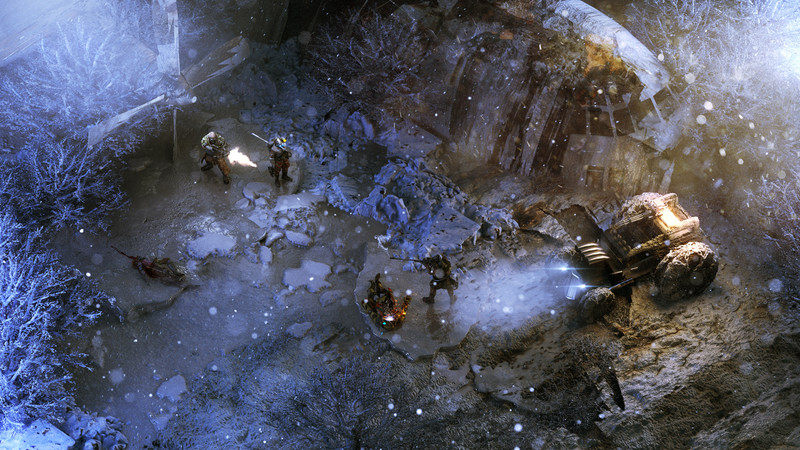 It’s lightyears above where Wasteland 2 was, and it’s all in-engine," Fargo said. "The other thing is that it’s great for conversations, a la Fallout 4. The camera is going to come down and you’re going to see and hear people speaking their lines, which really helps drive the immersion. "We’re going to break from the isometric for conversations, and we’re also going to break from the isometric in other areas where we think we can dial up the drama. XCOM: Enemy Unknown is a good example, where you can zoom in on something and cut to the creature shattering through a window and then go back isometric." 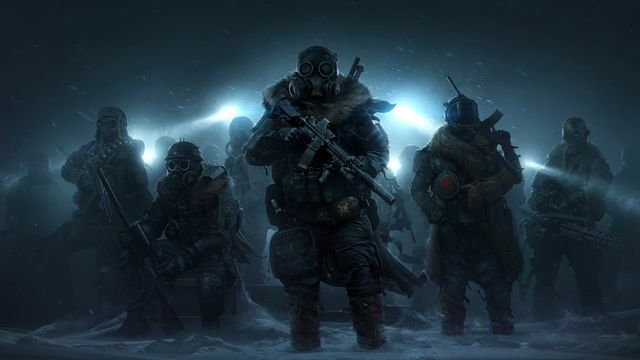 InXile Entertainment will launch a fundraising campaign for Wasteland 3 on Oct. 5 through the Fig equity crowdfunding platform, where Fargo sits on the advisory board. Fig allows for rewards-based crowdfunding alongside investment, and Fargo says the campaign will be open to both accredited and non-accredited investors. But after raising millions on the platform since 2012, why not stick with Kickstarter? Fargo says his decision was easy. Games-funding on Kickstarter has been losing momentum overall, and deep-pocketed backers are especially few and far between. "One of the things that we’ve seen is that back in the good old days of 2012 and 2013 the kind of the $1,000-tiers was a real thing on Kickstarter," Fargo said. "That’s really fallen off a cliff since then. And I think that equity gives those people that might have made investments of that size or larger another reason to look at it again. "If these games start returning profits to people that’s something that you’ll never get tired of." "We’ve seen that there are people who have backed Kickstarter projects, are very happy with backing those projects, but then don’t go on to fund something else. And I’ve had people who have backed our games and said, 'Gosh, I never even got a chance to play it.’ So you can imagine that it gets difficult to get people’s attention with pure rewards-based funding when they haven’t had the chance to play the last game they backed, or they haven’t backed one in a couple of years. "I think that Fig has more opportunity ... because if these games start returning profits to people that’s something that you’ll never get tired of. And it’s a system that you’ll return to I think with more excitement each time rather than less excitement each time." However, Fig itself has seen a loss in momentum as well. Its approvals process with the United State Securities and Exchange Commission has dragged on for most of 2016. Their campaigns have also dwindled. At their peak, Fig was running two campaigns a month, but after Consortium: The Tower closed in May of this year it's failed to launch another. Fig announced another round of required filings in June. Since then, SEC records indicate they’ve had two more in quick succession, which could signal that the process is nearing its conclusion. But whether unaccredited investors, who’ve been waiting months to fund projects like Psychonauts 2 and Consortium: The Tower will still be willing to pay up is an open question. Polygon has reached out to Fig for comment, but did not receive a response before publication. Fargo says that Wasteland 2 earned his team more than $12 million dollars, and he’s using a portion of that money to contribute to the total budget for Wasteland 3 which is somewhere in the neighborhood of $7 million. The Fig campaign will have a goal of $2.75 million with equity capped at $2.25 million, and Fargo says he’s also searching for a publishing partner to contribute some portion as well. More information, including a gameplay video, will be available when the Wasteland 3 campaign goes live on Oct. 5.